When you hear about Russia, what are the vegan or vegetarian dishes do you think of? I wouldn’t ask this question to myself now, but an earlier me would have said boiled potatoes. Unfortunately, earlier me 10-15 years ago was not as wise as now, hopefully! Let me assure you, travelling and living as a vegan in Russia is definitely possible. A lot of you dream of visiting Russia. Just 30 years ago, travelling to Soviet Union was not very popular. After the collapse of the USSR, Russia went through its toughest times economically and politically. Today, Russia is more stable, safer and culturally colourful with a lot of history on every street of its cities. Now you do not have any excuse to not visit Russia and if you are a vegan, follow me to learn more about how you can travel or live as a vegan in Russia. 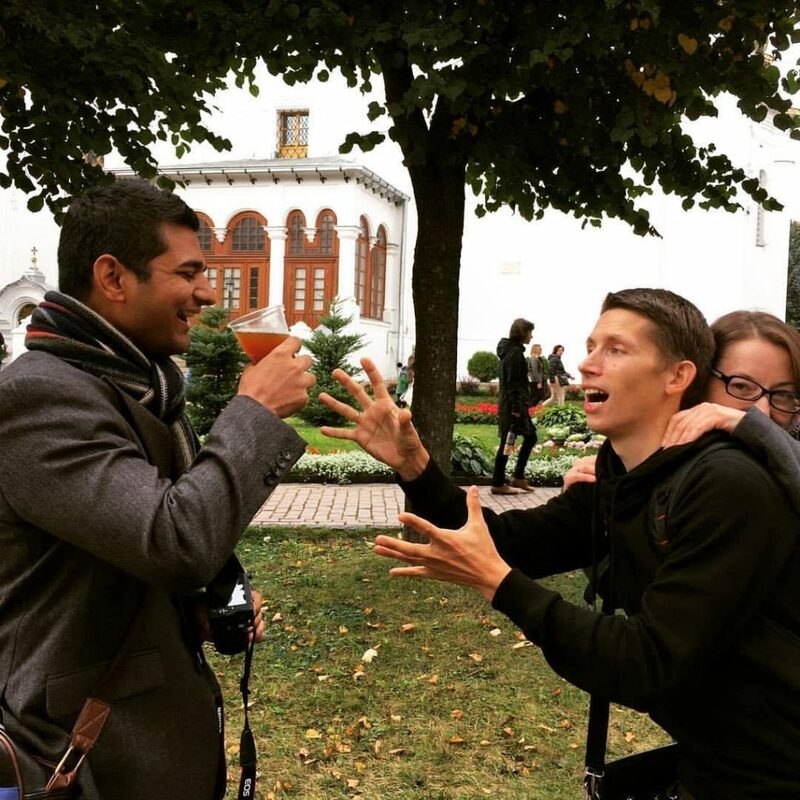 My experience below is not only from my various trips to Russia, but I have been also involved with Russian Centre of Science and Culture, New Delhi and Russian Cultural Organization at Duke University in the USA. Throughout my observation, I have been involved with hundreds of people from the former Soviet Union whom I call my great friends. Since the collapse of the USSR, Orthodox Christianity has revived in Russia. More people identify themselves as Orthodox Christians today as compared to 1991. In strict Orthodox culture, followers observe a period of lent multiple times a year. This is mainly before Easter and Christmas and some other important days of religious significance. 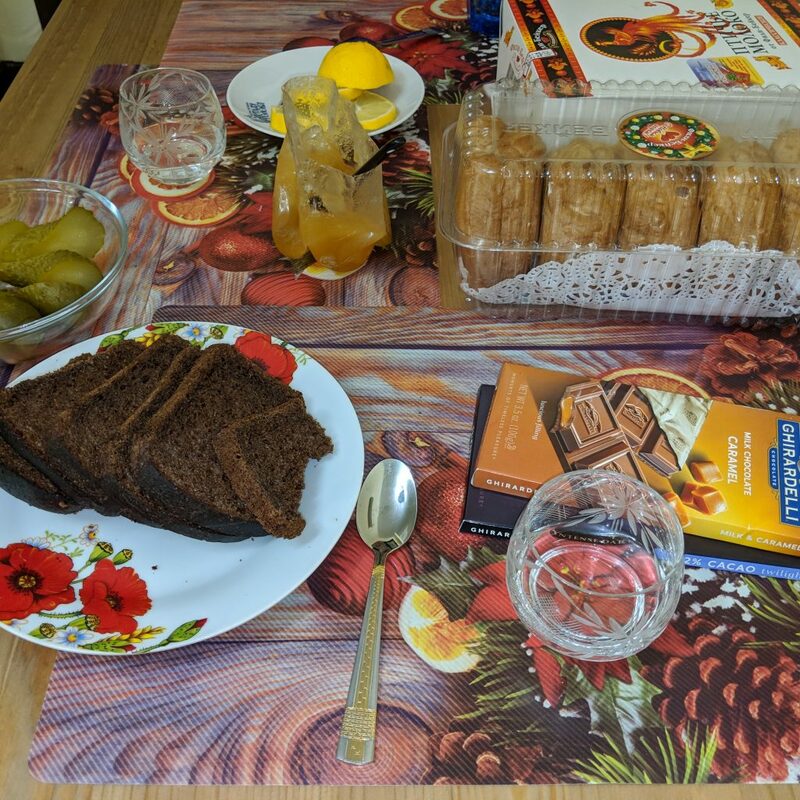 During the period of lent (“post” in Russian), religious followers avoid consuming any animal products (there is an ambiguity here as some Russian orthodox may consume seafood during lent). 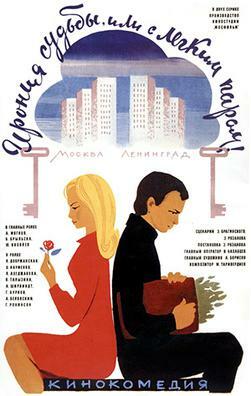 Vegan food is popular in restaurants, streets and Russian flights such as Aeroflot during this period. While Russian Orthodox is the major religion in Russia, it is still followed by only 45% of the population. Among them, a vast majority of people are Russian Orthodox on papers and do not really participate in regular church related activities. I do know some people who are strict followers of Russian Orthodox, but I am yet to see someone who follows a pure vegan diet during lent. What if you are not travelling during Russian Orthodox Lent? Veganism and Vegetarianism is an integral part of Russian cuisine. 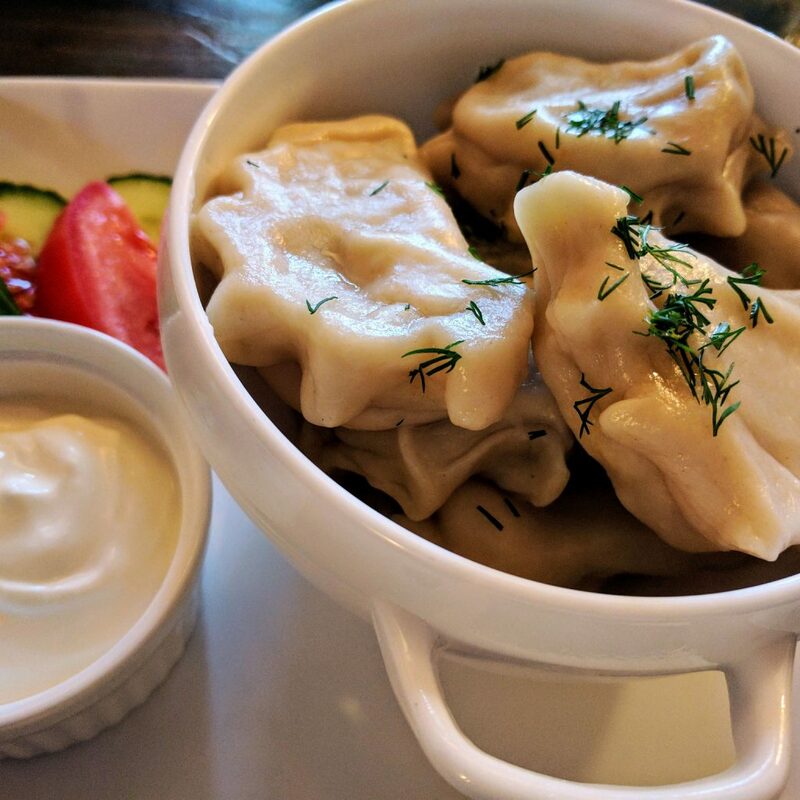 It is true that you may not find many vegan options in a Russian restaurant, but you will still find adequate traditional vegan and vegetarian food in every Russian city without going to any special restaurant. I have been to Russia both during lent and regular days. I did not see much difference in the availability of vegan or vegetarian food in the city restaurants. The only difference I observed was the addition of lent menu in Aeroflot flights. Some restaurants may carry a lent menu (Postnoe Menu), you can find that out on their website. I was reading some vegan travel blogs who are emphasizing on the concept of lent but let me assure you that if you are travelling to Russia as a vegan or vegetarian, your experience will not much differ whether you visit Russia during lent or not. Veganism and Vegetarianism in Russia is not as popular as in the western countries or India, but it is rising. This rise in Veganism and Vegetarianism in Russia has not much to do with Russian Orthodox Christianity, but a general rise in awareness among people and emergence of other newer spiritual movements. Newer generation in Russia is more aware of the veganism and vegetarianism. However, the older generation, older than 50, is a bit sceptical of this concept. 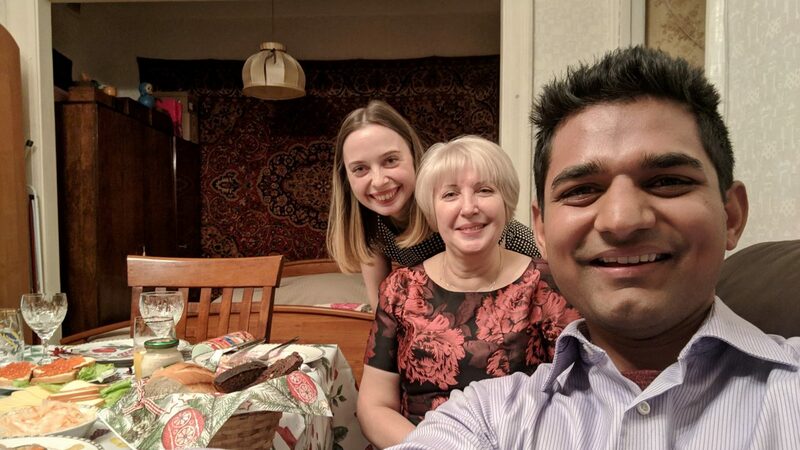 I celebrated 2019 New Year Day in a very traditional Russian style with a Russian family. As per the traditions, we watched the movie Ironiya sudby, ili S legkim parom! My friend’s mom cooked a huge meal for all of us. She made very delicious vegan potato and mushroom soup for me with black bread and salad. However, she kept making fun of me that I do not eat meat. It was so unusual for her that I was refusing meat on a new year feast! She was asking jokingly if I drink champagne or juice or water, of course sarcastically! That’s the beauty of Russian humour. According to a study in 2018 by Russian Public Opinion Research Center, 20% of Russians have favourable opinion about vegetarianism. Nevertheless, it is a pure coincidence that most of the people I know in Russia have favourable views about this diet. They take special care of me sometimes without being aware that I can self-sustain in Russia as someone who does not eat meat. For example, a friend of mine reserved a vegan/vegetarian only restaurant in Moscow as she knew I do not eat meat. Most of the people I know in Russia have tried veganism or have drastically reduced consuming meat from having meat in every meal to once a week or two. A couple with whom I stayed for a night, cooked vegan food for all of us. I told them that they do not have to do this specially for me and they replied that they prefer vegan food as well. According to the study I referred above, about 39% of the people believe vegetarianism is harmful to health. In fact, some people believe it is impossible to be vegan in the cold weather of Russia. If you are in a family gathering, the older generation might feel bad for not serving you the meat. They feel you are not eating properly. They feel unsatisfied of not serving you properly. Make sure that you appreciate their effort and cooking, just explain them simply that you do not eat meat. If you have been doing some research on vegan restaurants in Russia, then you probably already know some famous vegan and vegetarian restaurants in Moscow and St. Petersburg. These are great options, but the problem is that most of these restaurants serve salads, black bean burgers, Indian or Thai food. This is not a true Russian experience and is not according to my mission of this blog. I have also seen some bloggers suggesting sticking to cities to find vegan or vegetarian food. This is also not true. Russia has a concept of canteens (Stolovaya) that is being followed since the Soviet Era. These are dining areas where you can buy and eat servings of authentic vegan and vegetarian soviet style food. You can find Stolovaya almost in every city in Russia. The food is really cheap and healthy and the quantity is large! 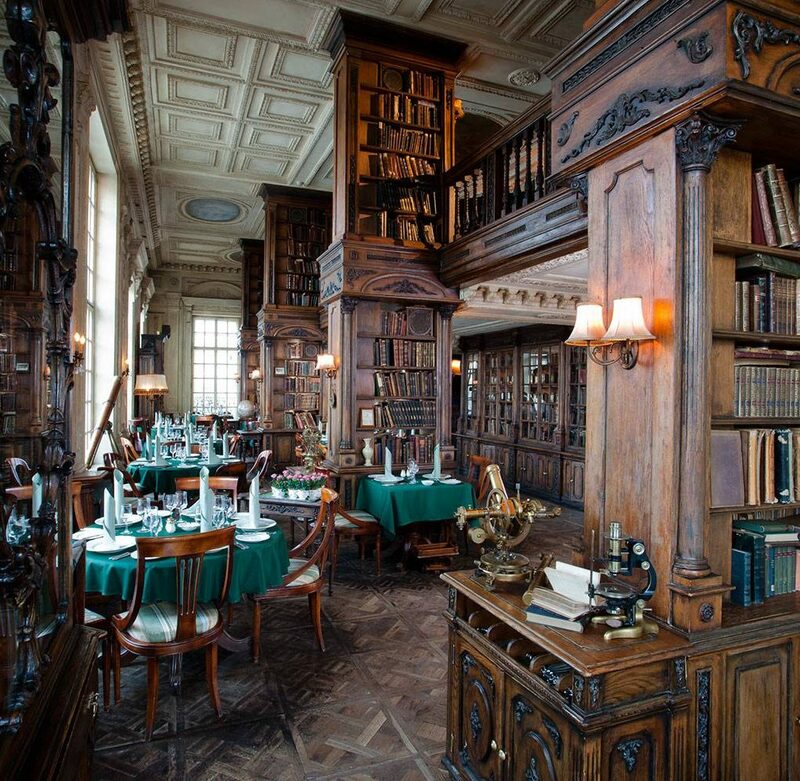 You can read more about Stolovaya and its vegan and vegetarian menu in my other article. I found Stolovaya really a gem! I prefer eating light or cook my own food. Travelling to any destination for weeks and eating in restaurants is too much for me! Therefore, Stolovaya was a true saviour! However, if you are looking for a change from Soviet style dining. Below are some must try restaurants in Russia. They also have a Lenten menu. Under the restaurants, you will also find my suggestions and advice on what to order. These items and dishes can be found in almost every traditional Russian restaurant in Russia. I am doing my best to add pictures beneath the dishes. Please note that I took these pictures in different restaurants. If the pictures do not belong to me, I have mentioned the source. 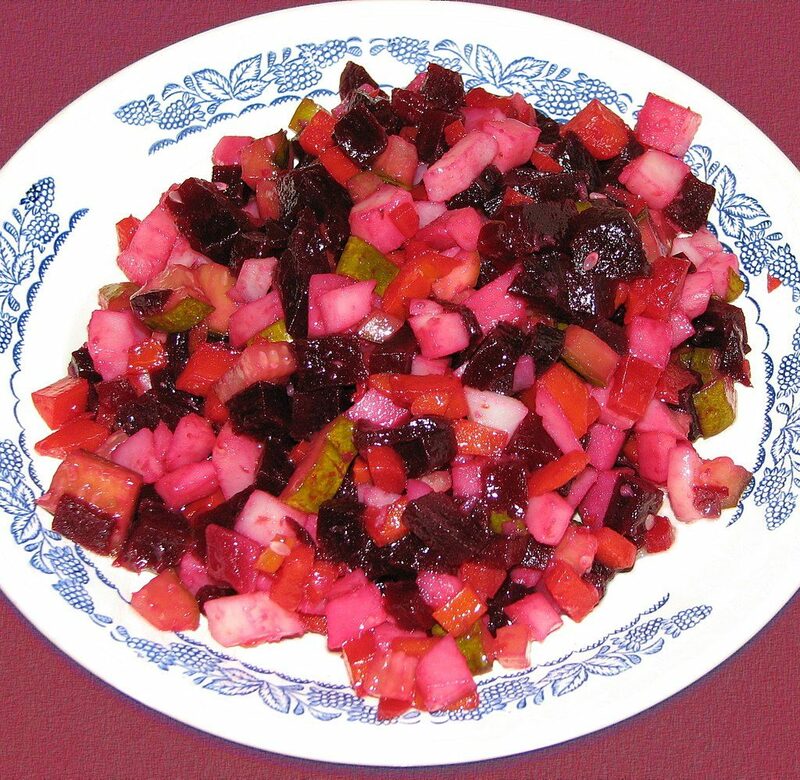 Beetroot salad with pickles and Baltic sprats – Also known as vinegret. A delicious and healthy salad that is cooked and flavourful. 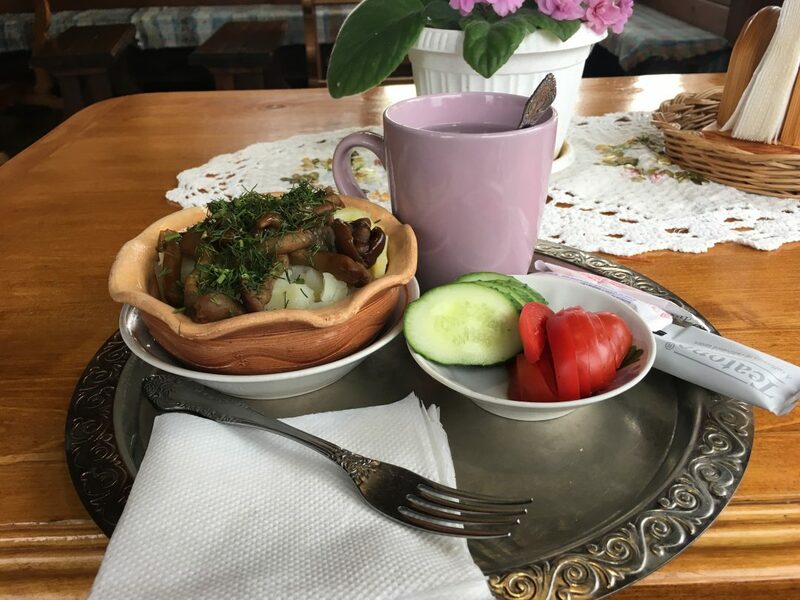 Pickled cucumbers and mushrooms – I hate this in Americas, but pickled cucumbers taste incredibly fresh and delicious in Russia. They are less salty and less sour than in the US. Russian Dumplings with mushrooms – Also known as Vareniki. Vareniki usually contains milk or egg in the dough. This is what makes it vegetarian and not vegan. 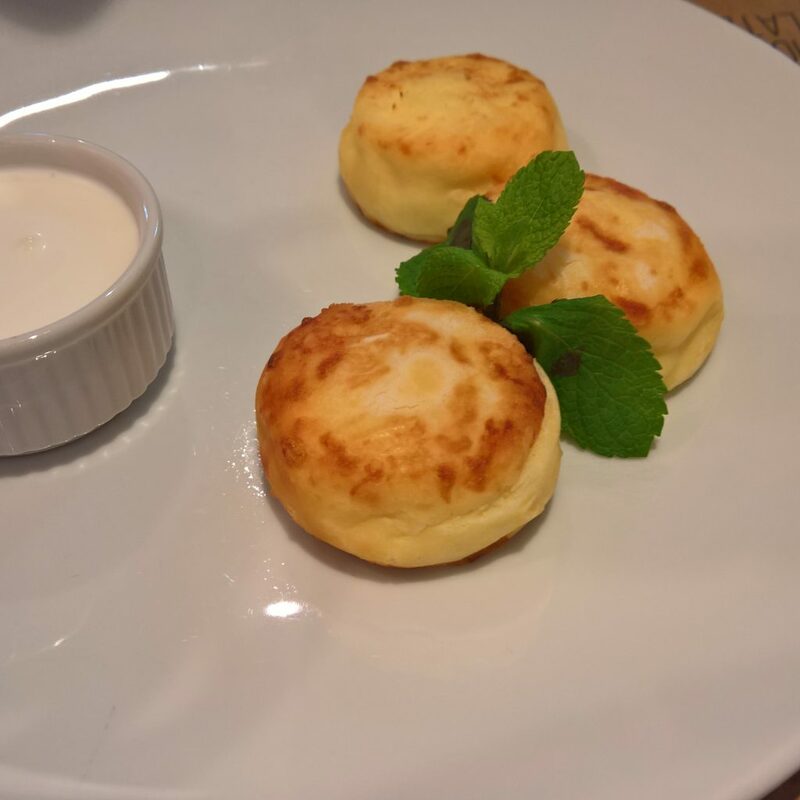 You can find vegan Vareniki in postnoe menu. Blini with honey, sour cream and fruits – Blini are Russian pancakes. They are thin like crepes and not the thick pancakes we find in American restaurants. Russians love it so much that they also have a week dedicated for pancakes to celebrate the onset of spring season. It’s the festival of Maslenitsa. This restaurant also has a postnoe menu (lent menu). But I observed they still serve sour crème with various dishes. 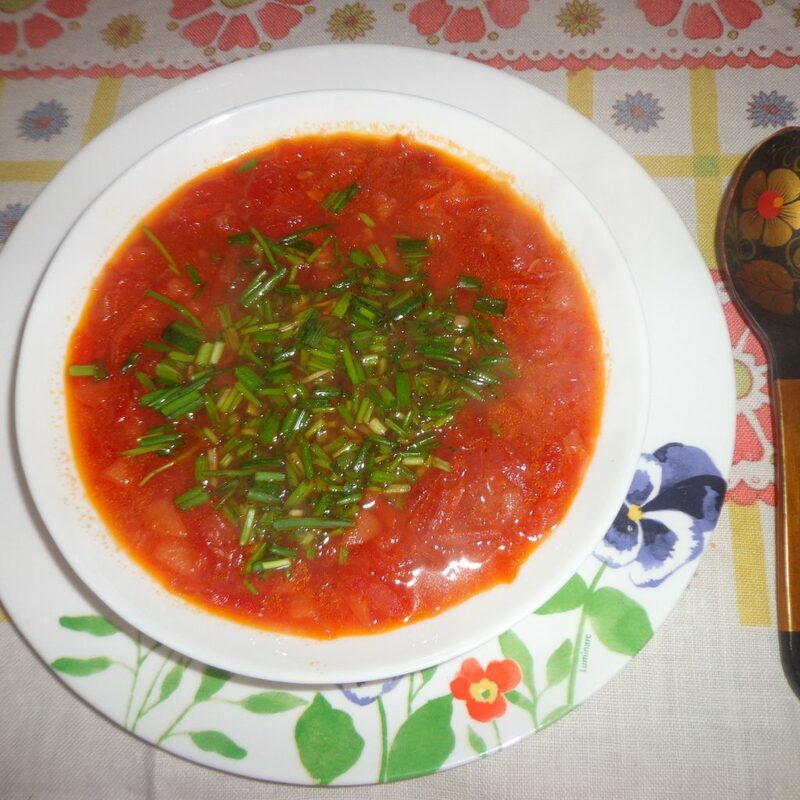 Borscht (Beetroot soup) – Borscht is a Ukrainian speciality, but it is also popular in Russia. There are certain dishes and specialities that overlaps between Ukraine and Russia due to similar Slavic heritage. A vegan version of borscht is usually a soup made with beets, cabbage and potatoes. 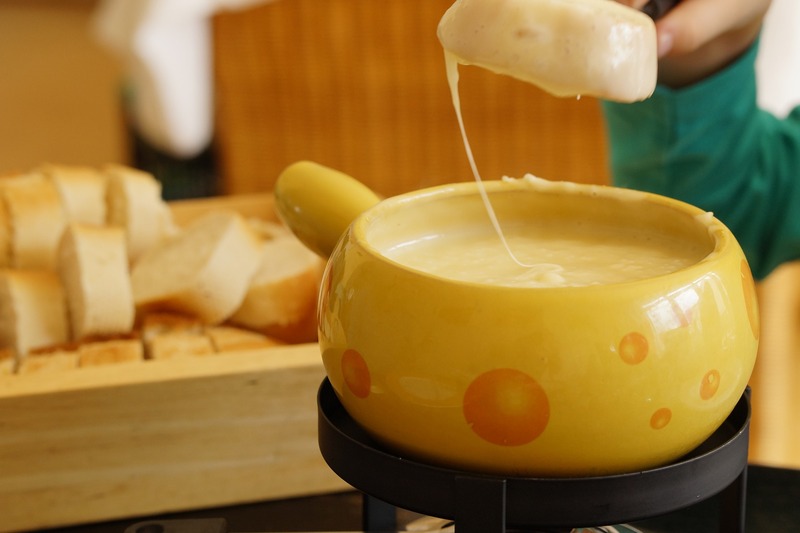 This soup is usually always served with smetana which is sour crème on the side. As a vegan, you can ignore the smetana. Some restaurants serve borscht with sour crème already inside it. Please confirm with your server. If you are ordering borscht, I suggest ordering black bread or chyorniy hleb on the side. This is a Russian bread made with rye. White mushroom soup – Mushrooms are abundant in Russia. People love to go out in the forest and find mushrooms with their family in the summer. Mushrooms are technically not vegan or vegetarian, but I still find it being served in traditional vegan food. Cottage Cheese Casserole with homemade jam- Cottage Cheese or tvorog is a must try in Russia. It is popular in breakfast, tvorog usually is served sweet in sugar or with jam. Filled pies with Mushrooms/cheese/Apple/Eggs/onions – These pies or pierogis are delicious. Their outer layer usually contains eggs, this is why it is not vegan. The stuffing is mostly mushrooms, cheese (tovorog), eggs and onion. Cherry Dumplings – These are vareniki with cherries. I always missed to try them honestly. But they sound tempting! Dumplings with Potato/Mushrooms -One of the most common dumplings or vareniki that you will find. 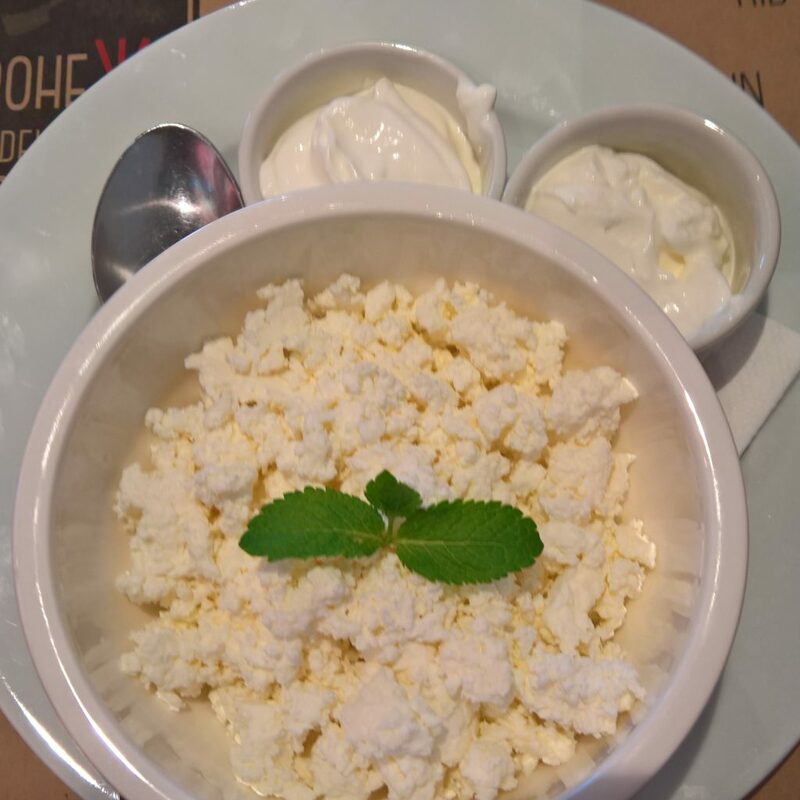 Please note that Vareniki is usually always served with sour crème. Buckwheat (Grechka) – Vegan unless served with butter. It is a healthier replacement of rice. Mushroom and potatoes – It is a common vegan dish available in most Russian restaurants. 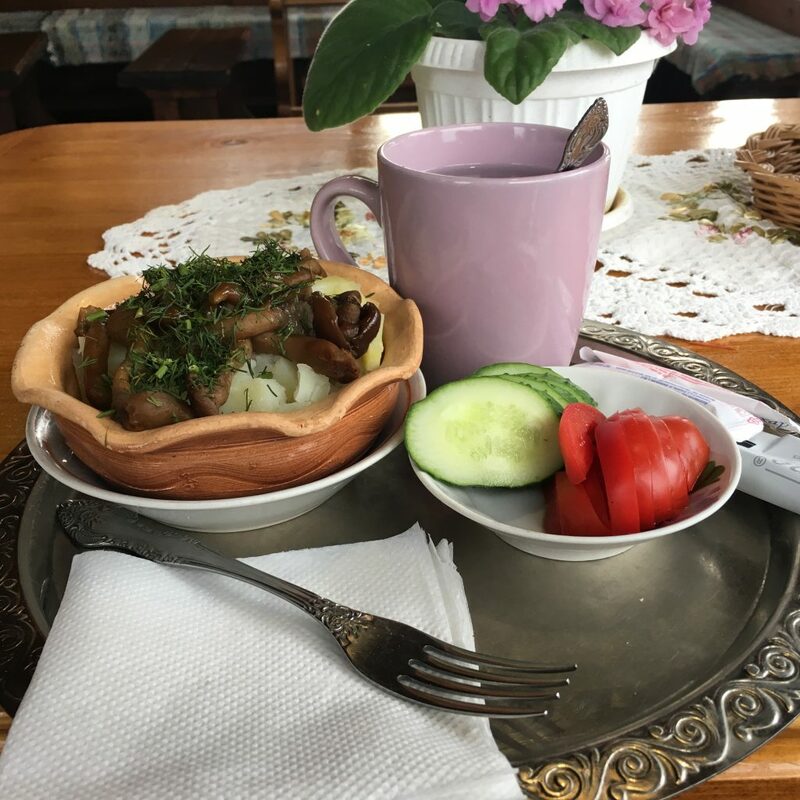 When I was in Suzdal and Vladimir, I did not find a few common Russian vegan dishes, but I always found mushroom and potatoes. These mushrooms are usually picked from the forests. If you are with your Russian friends, mushroom picking in the forest is a very common family activity in summer. Syrniki – Vegetarian fried quark pancakes balls usually served in breakfast. Black Bread (Chyorniy Hleb) – As the name suggest it is black and dense bread. Slightly sour in taste. You can also visit restaurants serving South Russian or Central Asian cuisine (former Soviet Union territories). A very popular chain is Khachapuri. Khachapuri is a Georgian bread stuffed with cheese. It is really delicious. However, I have also had this bread with pumpkin stuffing which is equally delightful. 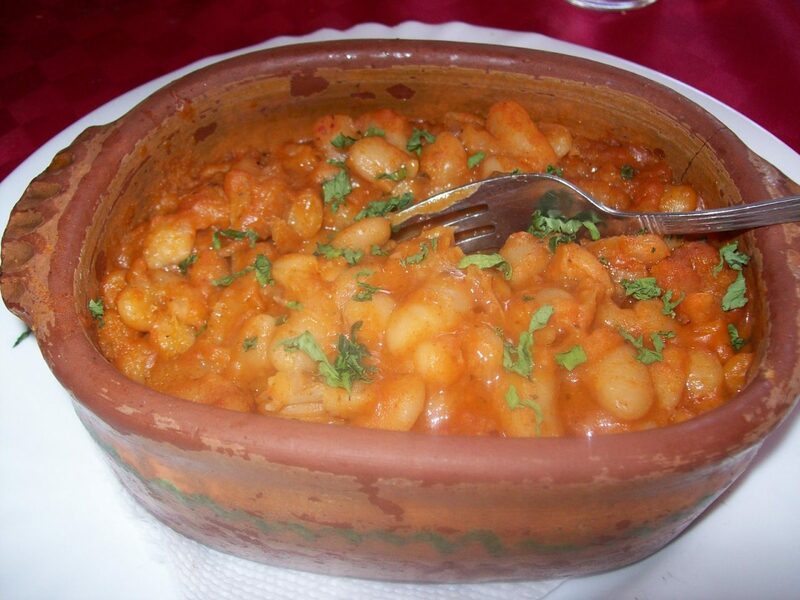 Georgian cuisine has many more vegan and vegetarian options. Georgia is also famous for its wine! They are unfortunately not as popular as French or Italian wines, but they are of premium quality and are very popular all over Russia. The easiest way to find a Russan restaurant is to go to Tripadvisor and chose vegetarian or vegan friendly filter. While in a Russian restaurant, do not forget to try some of the traditional Russian/Slavic refreshing drinks. Kvass is a very crisp and refreshing drink. It is slightly fizzy. Kvass is made with fermented rye bread. It is considered non-alcoholic, however, it still has about 1% alcohol. 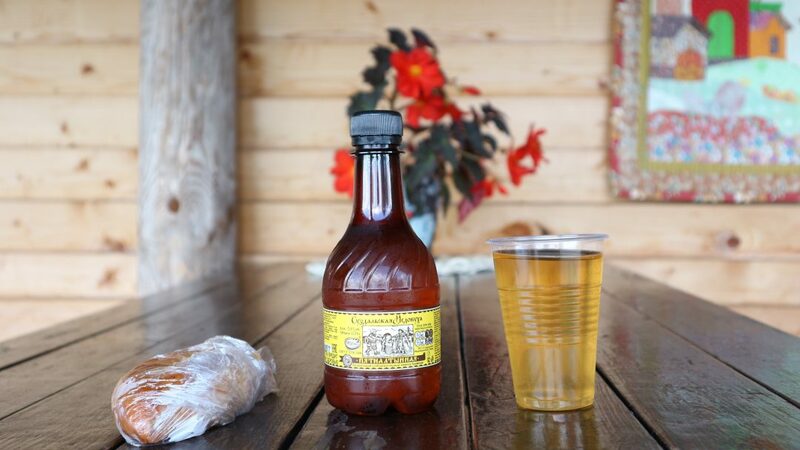 In summer, you can find Kvass being sold on the streets. Kvass is also offered in most Russian restaurants. 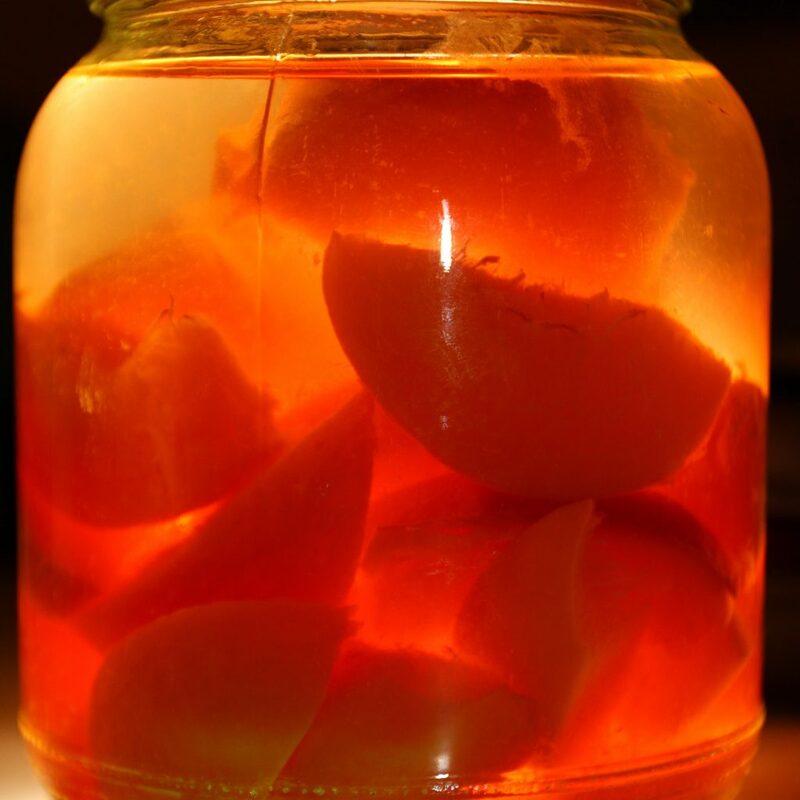 Kompot is a drink made with boiling various summer fruits such as strawberries, apricots, peaches, apples, rhubarb, gooseberries, or sour cherries together with sugar or raising with water. Many people make it at their homes with the fruits grown in their own garden or dacha (summer house). 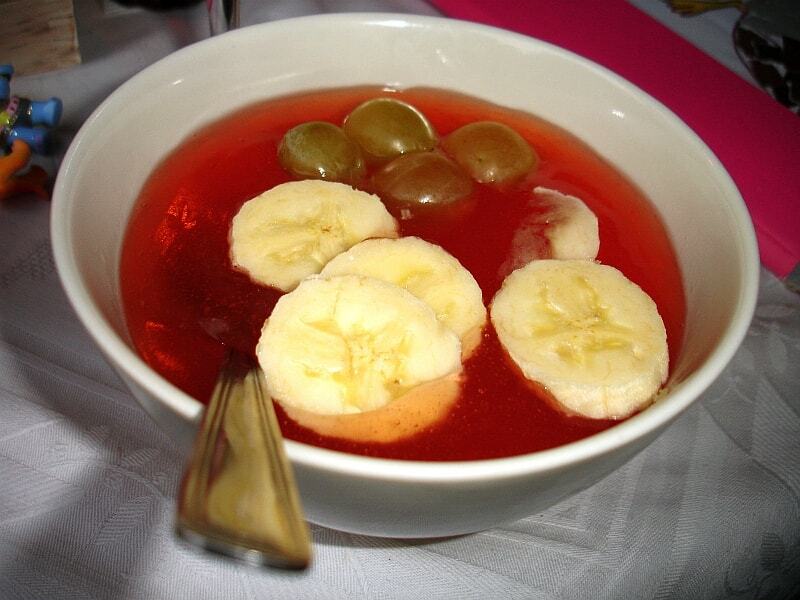 Kompot is served with these fruits still floating in your glass. You can find them easily in Stolovaya. I bought this bottle of Meduvukha to bring it home with me in the USA. Meduvukha is an alcoholic drink with honey in it. It is not very strong. Usually contains about 5% of alcohol. Please note that honey is vegetarian, but not vegan. You can read more about Meduvukha in my other article. Ivan Chai is a traditional Russian tea from 12th century. During Soviet era, people started favouring teas from India and China as they were cheaper, but today Ivan Chai is once again becoming very popular. It is made with fermented willow herb and has many health benefits. Kissel is a traditional Slavic refreshing drink, which is also sometimes considered as dessert. As the name suggest, it is slightly sweet and sour. It is kind of a fruit juice that is thickened with starch. Usually, oats or potato starch is added to the water and boiled until thicken. Later, fresh fruit juice is added, usually cranberry juice, but other juices are also possible. 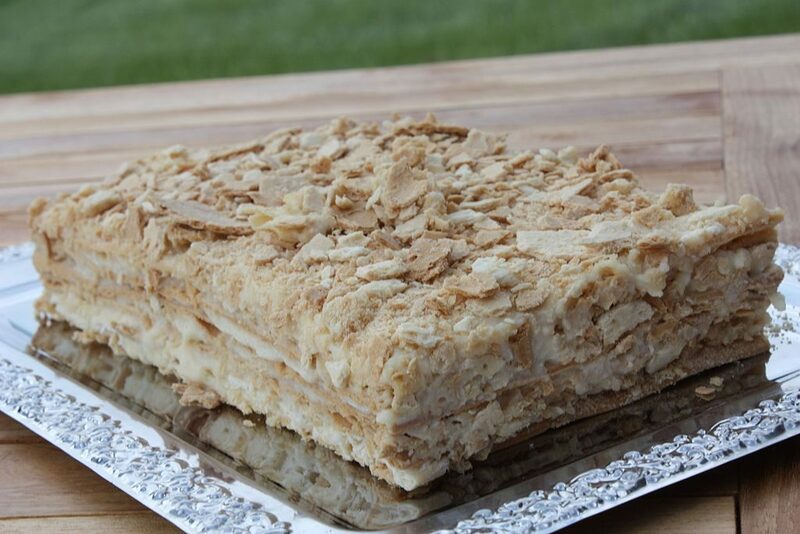 Napoleon Russian Cake or Napolyeon Tort is the national dessert of Russia. Let me admit embarissingly that I am one of the few people who do not have a sweet tooth. I am usually not tempted by desserts. Nevertheless, Napoleon cake is one of the best things I have ever tried. First time I ever had Napoleon was on New Year in Russia. This cake is usually made up of various layers of pastries filled with a custard creme. In Vegan version of this cake, custard creme is replaced by coconut creme. 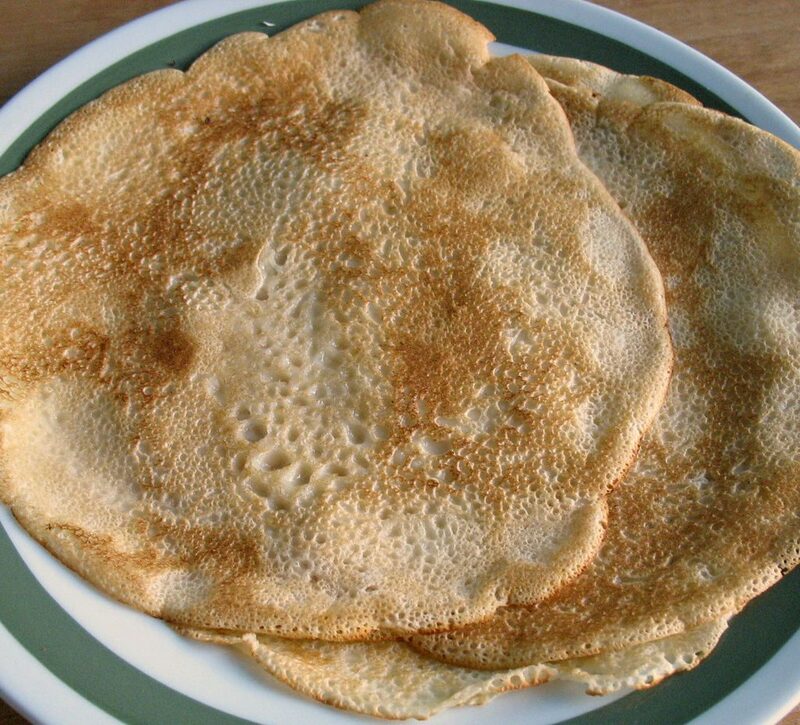 Blini is Russian pancake, they are soft and thin more like crepes. As I described above, Russian people love blini. You can have it with sour creme, caviar or honey. As a vegan you can have blini with melted dark chocolate, kissel, banana, or jam. Pastila is a great sweet snack that goes the best with the tea. These are usually made with pressed fruit paste, baked and dried over a long time. Pastila may contain egg whites or honey. But traditionally pastilas have been vegan, the addition of egg whites is a recent practice. Hence you should be able to find original vegan Apple pastila. 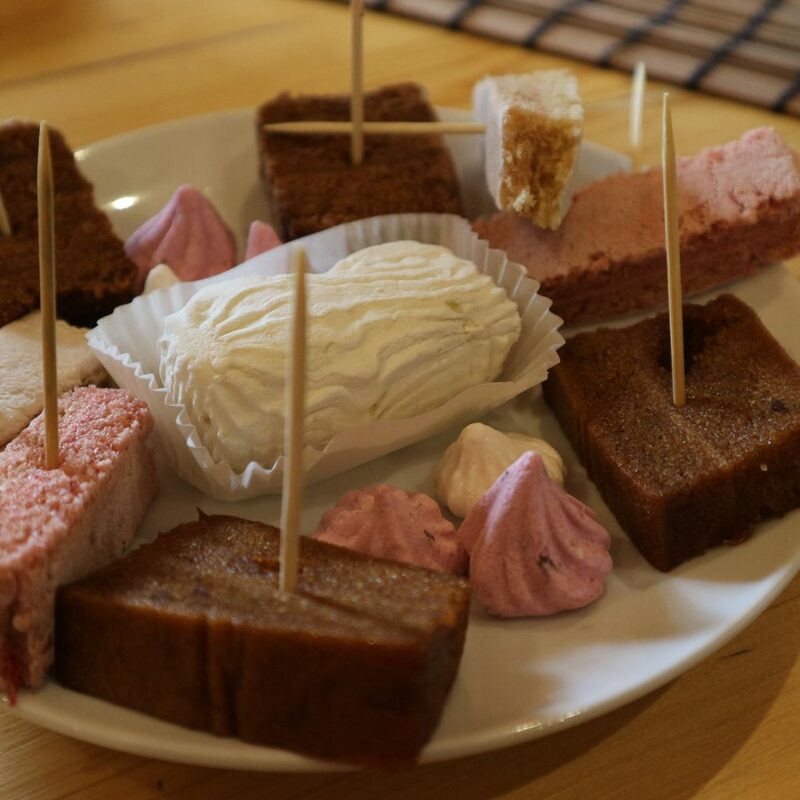 Pryanik is the category of sweet baked desserts in the slavic world. Some people translate it as gingerbread, but gingerbread is just one subset of pryanik. There can be many types of pryaniks, but Tula Pryanik is famous for not just its delicious taste, but also the art on the baked dessert that lookslike carving on a tile. Tula Pryanik is made of rye flour, eggs, honey and spices. This it is vegetarian and not vegan. Should you fly by Aeroflot? Hello everyone! Thanks for reading my article. 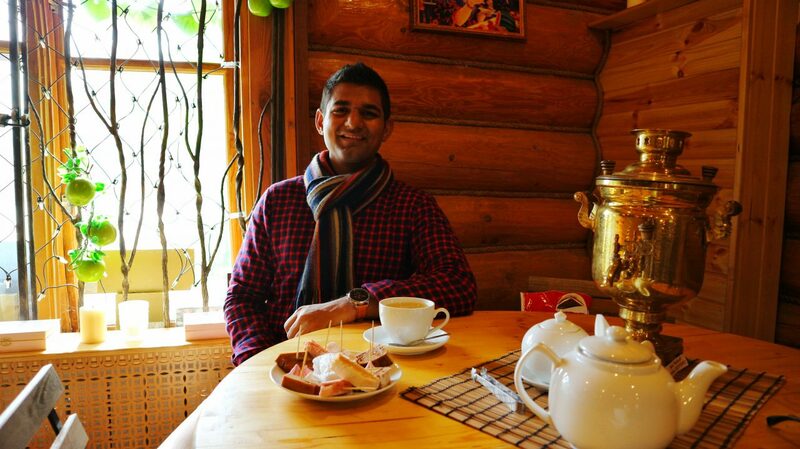 I am Sanskar Shrivastava, a Duke University alumni, full time working in travel industry and a vegetarian by birth who is exploring vegan lifestyle.